Installation with video and printed photographs. Produced as part of the exhibition The Urban Cultures of Global Prayers, NGBK Gallery, Berlin, 12.11.2011 – 8.1.2012. La Pluie de Feu (Rain of Fire) is the title of an evangelization campaign held by the Libambu-Ministry church on July 25 and 26, 2011 in the Ngiri-Ngiri district in Kinshasa. Pastor Libambu, the church’s leader and prophet who started evangelizing in the early 1980′s describes himself as one of the pioneers of the new charismatic religious movement that emerged in the Democratic Republic of the Congo (DRC). The installation Pluie de Feu is the result of a field research by Gilles Aubry in collaboration with sociologist Gerda Heck, cameraman Arnold Maluamyangila and journalist Massy Nguvu. During his stay in Kinshasa, Aubry has documented the activities of the Libambu Ministry, as well as acoustic and visual signs related to the presence of numerous other religious communities and individuals in Kinshasa’s public space. 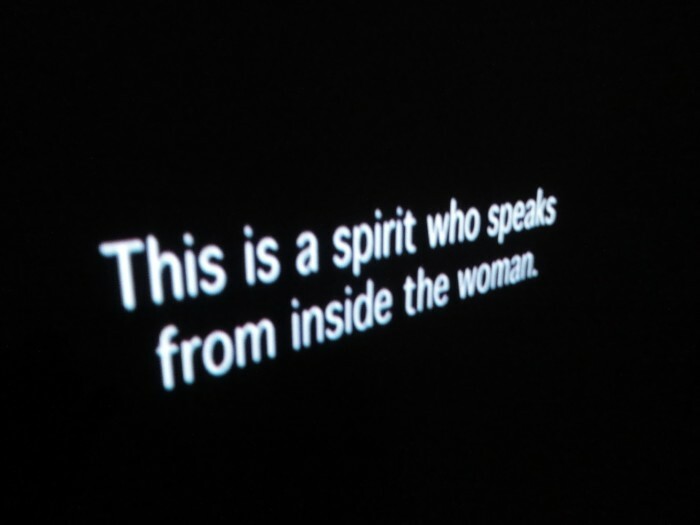 The installation presents a selection of sounds and photographs from this documentation, including a soul deliverance session from the church’s weekly religious service, the preparation and performance of the campaign in Ngiri-Ngiri and prophet Libambu’s own video archive of previous campaigns. 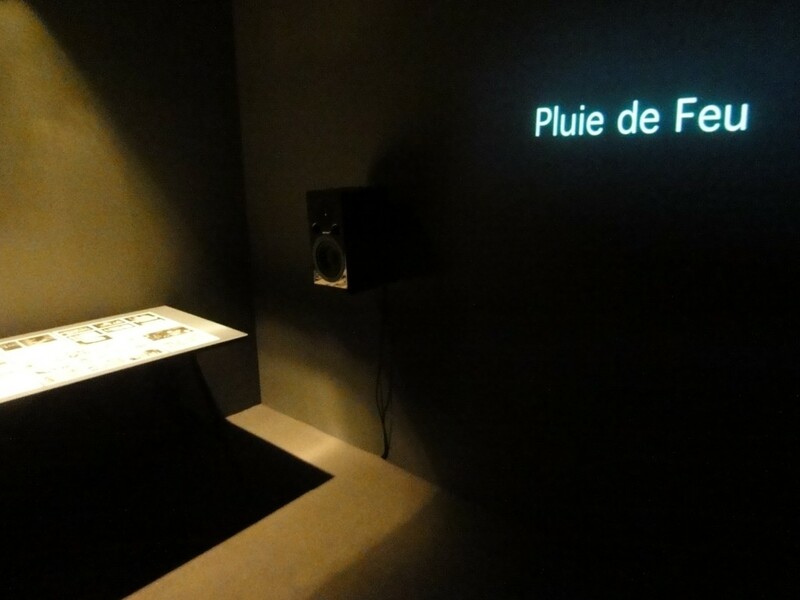 In addition, the installation soundtrack contains excerpts from Nigerian Nollywood and Western horror movies, which were recorded in small informal movie theaters. The work stands as an attempt to re-articulate acoustically the cultural and aesthetic complexity of the religious discourse in this context. This complexity surfaces for example in the audio documentation of the soul deliverance ceremony of the Libambu-Ministry: while the semantic content of the pastor’s preaching remains in the field of a conventional evangelical discourse based essentially on a darkness/light symbolism, the amount of distortion on the pastor’s amplified voice is striking. Such a heavy distortion should not be regarded as accidental, but rather as an aesthetic strategy to de-naturize human voice in order to suggest supernatural power. A similar effect is achieved via noisy vocal sounds when the pastor or other church members are speaking in tongues throughout the ceremony. These ‘special FX’ ressemble those frequently found in Nigerian Christian Nollywood movies (‘Halleluja’ genre), which are very popular also in Kinshasa. Nollywood productions often use heavy make-up, masks and digital video-FX in order to illustrate the evil nature of a character or a situation, as opposed to the clarity and purity of Christian faith. By demonising elements like masks and make-up, the Christian narratives have found a way to denigrate their sociological and spiritual function in African traditional religions while at the same time indigenising the plots appropriated from Western cinema. This ambiguity towards traditional culture, characteristic for contemporary Christian discourse in Africa, is reflected in Pluie de feu by the juxtaposition and at times superposition of religious discourses with Western and Nollywood movie soundtracks.